How often have you needed help with a product or service only to find that you can’t seem to find the phone number to call? 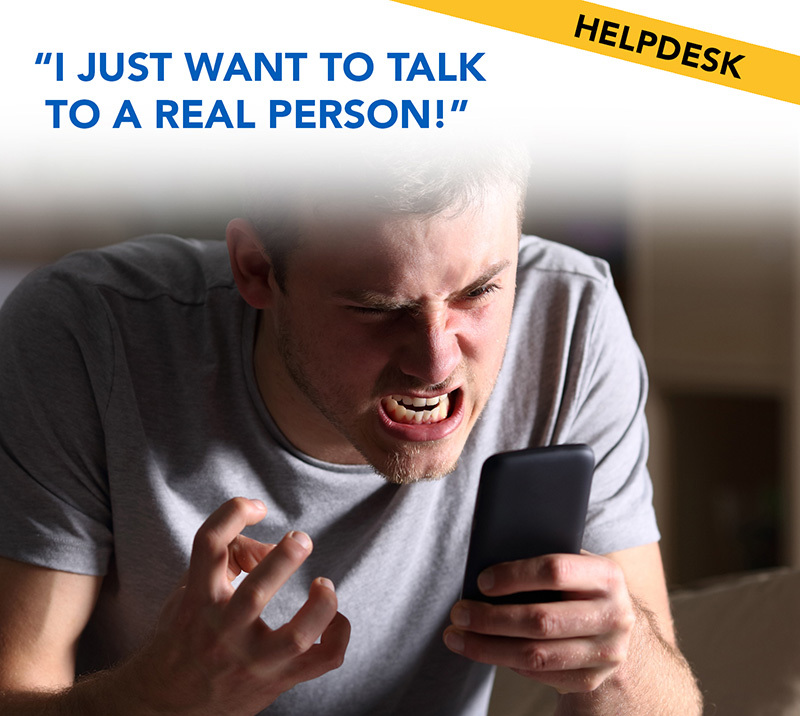 Self help articles are up front and center, but the phone number or email address seems to be practically (or in some cases literally) hidden. The frustration of just wanting to find someone to answer our question when we can’t find the answer has got to be one of the most universally frustrating experiences of modern life. This contact information is made more difficult to find intentionally, in the hopes that the customer will help themselves and lower incoming support traffic. However, there are many customers out there who do not have the time, the patience, or the skill (and researching an issue most certainly requires skill) to find the answer they need. Furthermore, most of us value our time and would rather get a quick answer than sift through articles, forums, and videos. Time and again you will read and hear about how many users prefer to find answers in articles or through various other self-help means. There is some truth here, but this preference is due entirely to a self-perpetuating system. · Some Users have had quite a few poor experiences (script-based and tier-based support experiences are worth their own article) and feel that they are better off utilizing self-help research. · Some users simply give up because they get frustrated by internet navigation or aren’t technical enough to understand what they are reading/seeing. Self-help or Ticket Deflection is not, in and of itself, bad customer service. When used properly, self-help tools can be a powerfully positive time saver for many users. But it becomes bad customer service when a company stops seeing it as a way to provide faster and more accurate help to their users, and instead sees it as a way to divert those pesky users from clogging up their phone lines, chat channels, and email inboxes. This will inevitably lead to practices that universally frustrate and annoy end-users. It’s easy to understand why a company might decide that certain practices frustrating to end-users are acceptable, but when these same companies try to market themselves as putting the customer first, nothing could be farther from the truth.